Thanks for an excellent job in Droushia today. It’s been a long time since I have had an outside contractor who does a perfect job, gives me no hassle and cleans up after themselves. Look forward to doing business with you again. An extremely professional company that are an absolute pleasure to deal with, a true rarity these days. 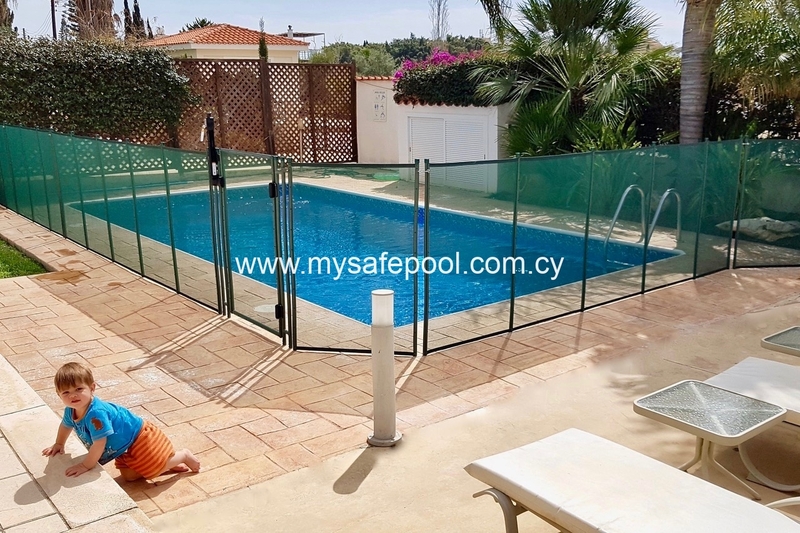 Dan & Brian installed a very smart black pool safety fence for me promptly (36 hours) after me accepting their quotation. The process from beginning to end was completely seamless. I can finally sleep at night knowing that my children cannot wander into the pool unsupervised. Thank you so much for all your help and advice, Gemma. Thank you guys for the incredible job you did! My son is safe in our garden, which means we can enjoy being outside without worrying he can somehow get past the fence. No chance he is getting past this fence!! Very happy with your professionalism and communication. Couldn’t have asked for a better service or product. Thank you guys! Wow! Have been completely impressed from start to finish with the amazing customer service we received! Lloyd was always super quick with his responses. 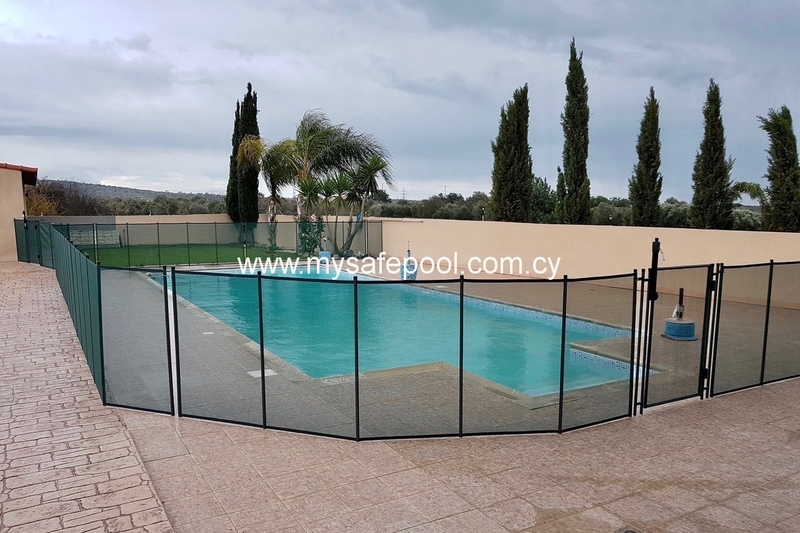 The safety fence is exactly what I wanted and the peace of mind is priceless. Overall could not recommend Safe.T.First more. They have shown me that professionalism is not a lost art after all. Thank you very much, Dan, for your excellent work. Timing, responsiveness, very customer oriented approach, professionally completed job – would highly recommend to anyone who is looking for good value for money. 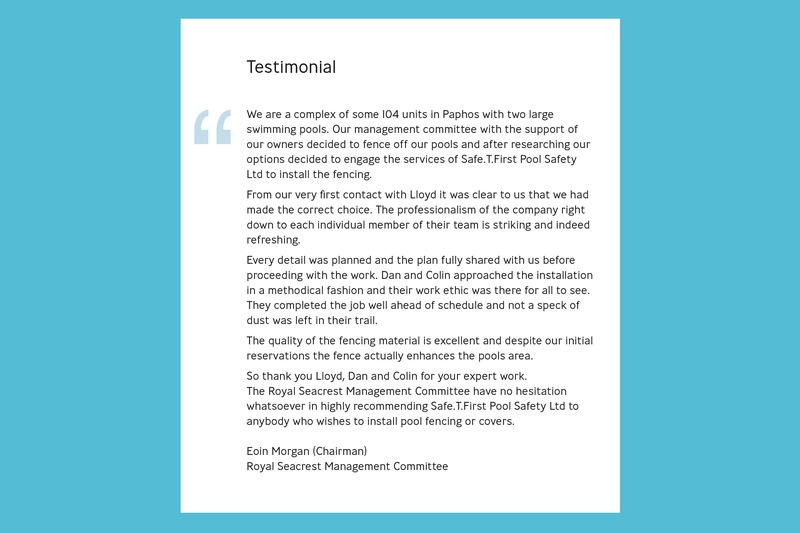 With four kids, not having a safety fence around the pool was out of the question – we just needed to find the provider who could meet our deadline and deliver expected quality. 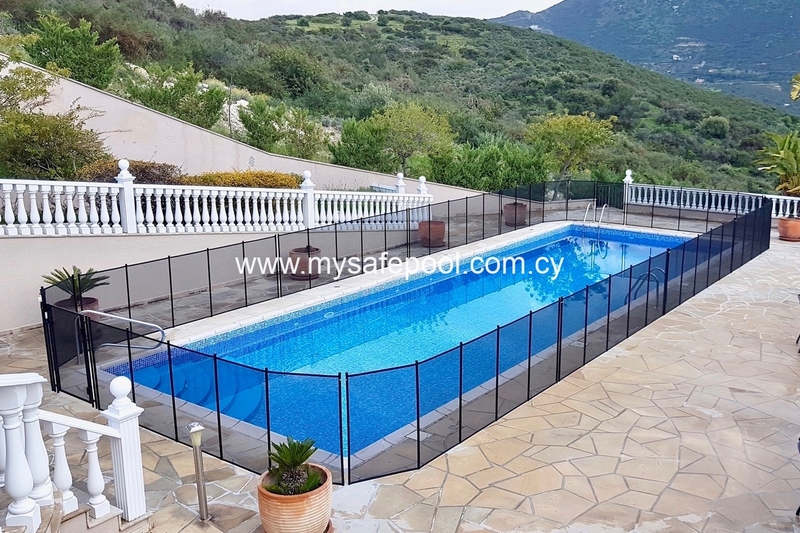 A pool safety fence provides a safe, secure barrier 100% of the time, whereas the protection afforded by a safety cover is lost once it is taken off the pool. 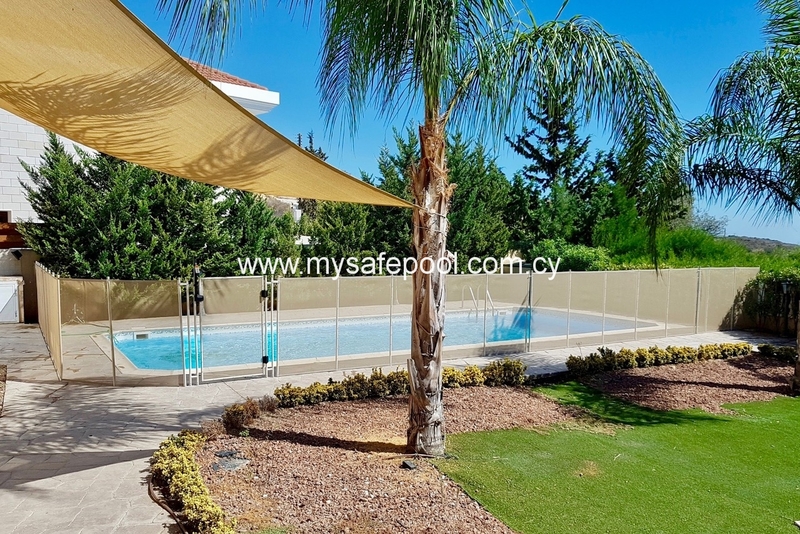 The time and effort required to remove a safety cover can be a disincentive to taking a quick dip in the pool on a hot summer’s day. 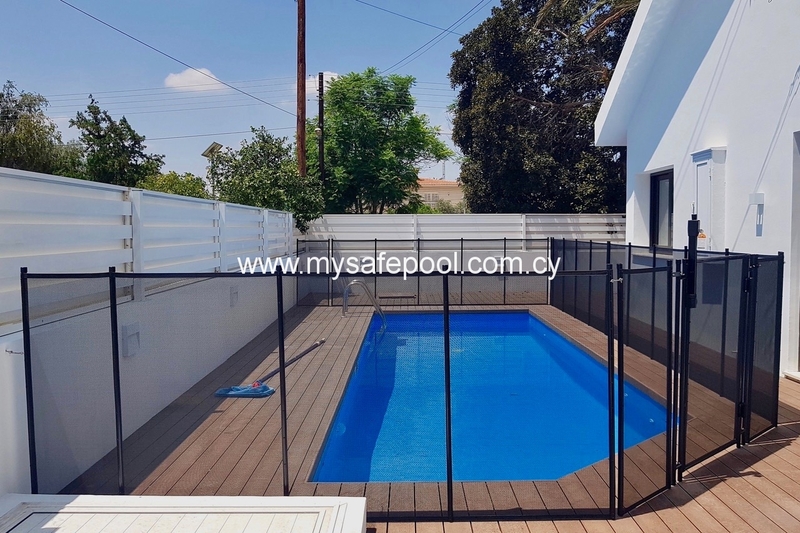 A swimming pool should be an attractive focal point in the garden; a safety fence allows you to see and enjoy your pool at all times. 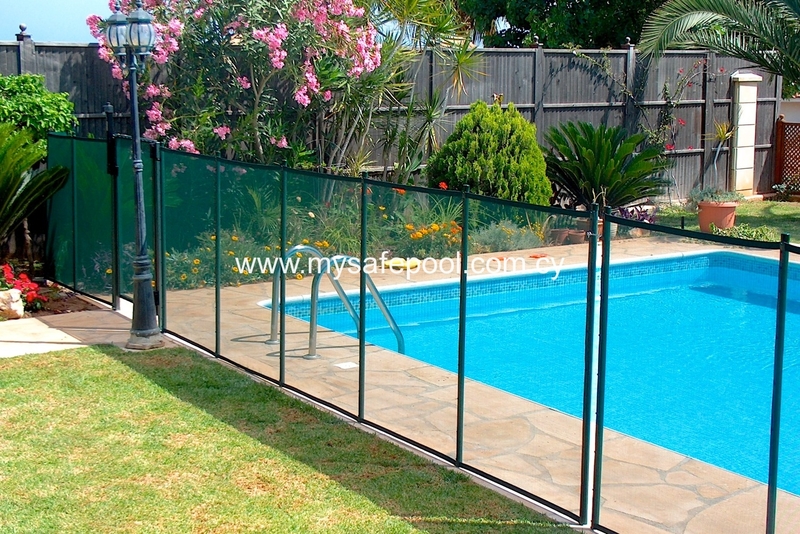 A safety fence is the least expensive type of pool safety barrier. 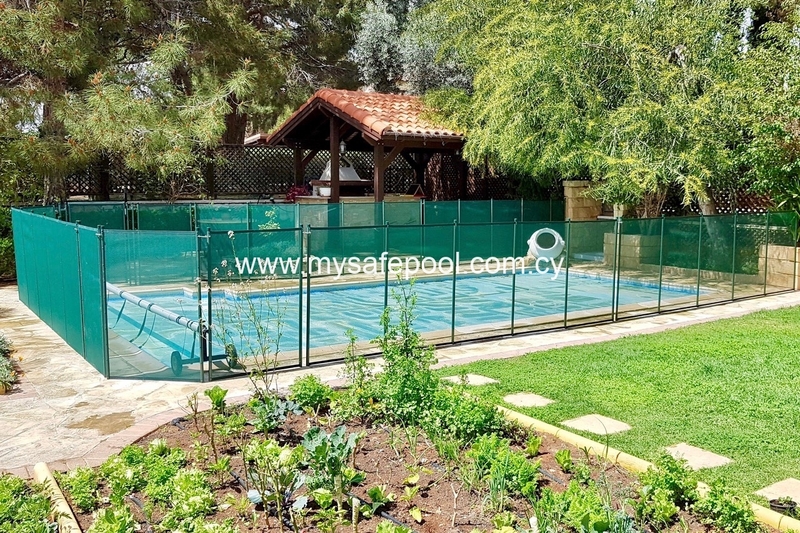 WHAT’S SPECIAL ABOUT OUR ‘ELITE’ POOL SAFETY FENCE? 1. 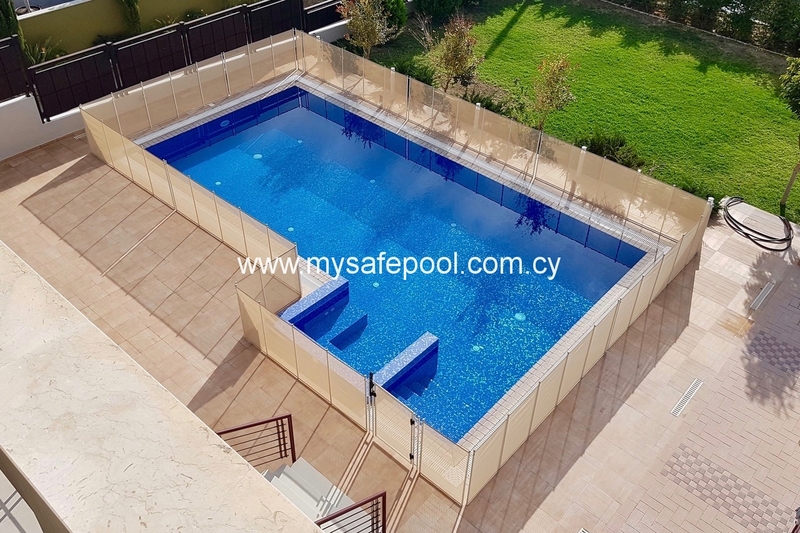 The ‘Elite’ pool safety fence is completely removable. If not required in place, the fence can be taken down in minutes, rolled up into easy-to-carry bundles, and then stored. When next required, the fence can be re-installed in minutes. 2. 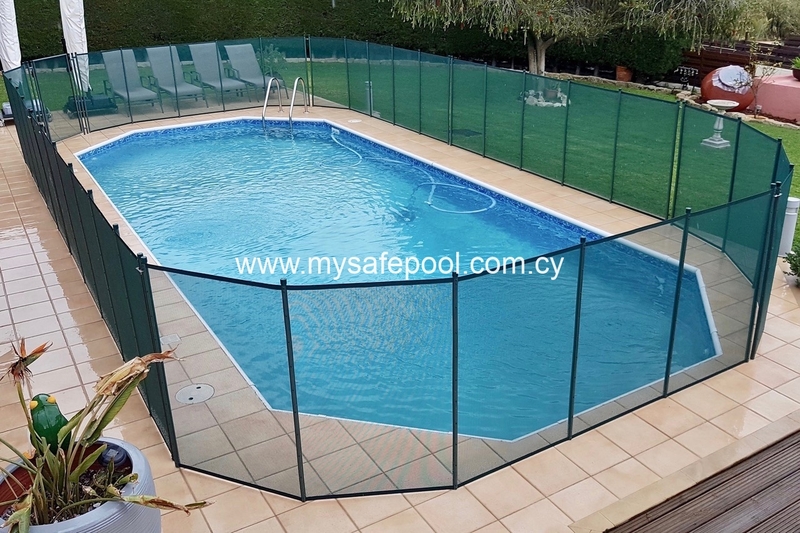 The mesh panels on our ‘Elite’ pool safety fence are see-through. 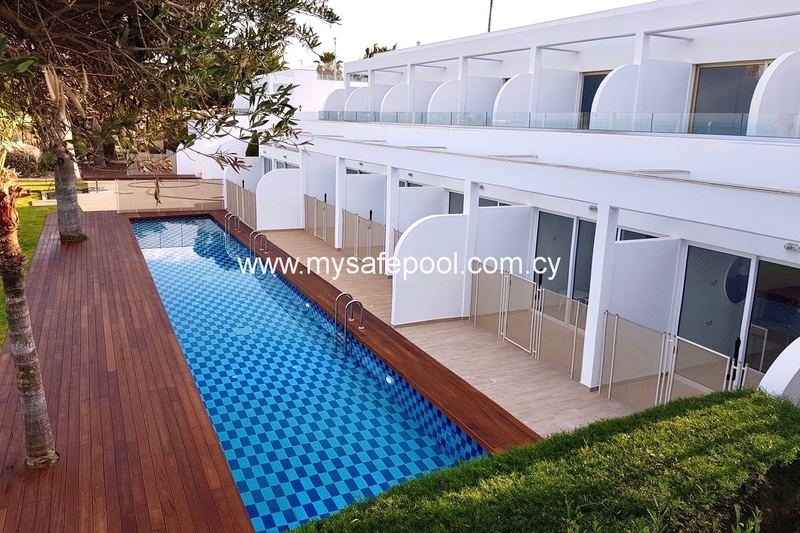 This feature enables you to see what’s going on in the pool and is more pleasing to the eye than wooden, steel, or concrete structures which detract from the ambience of the swimming pool area. 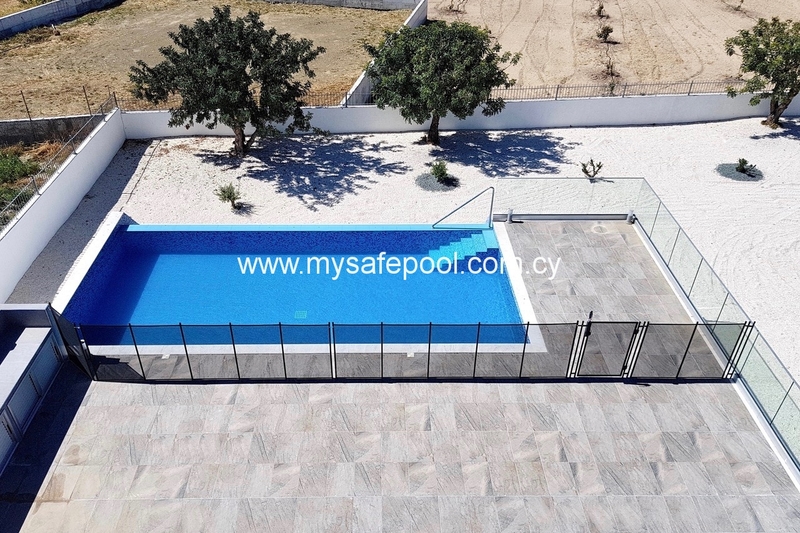 Unlike conventional fence, the mesh panels on our ‘Elite’ pool safety fence have no hand or toeholds for children; consequently kids cannot climb over the fence, nor can they crawl under. 3. 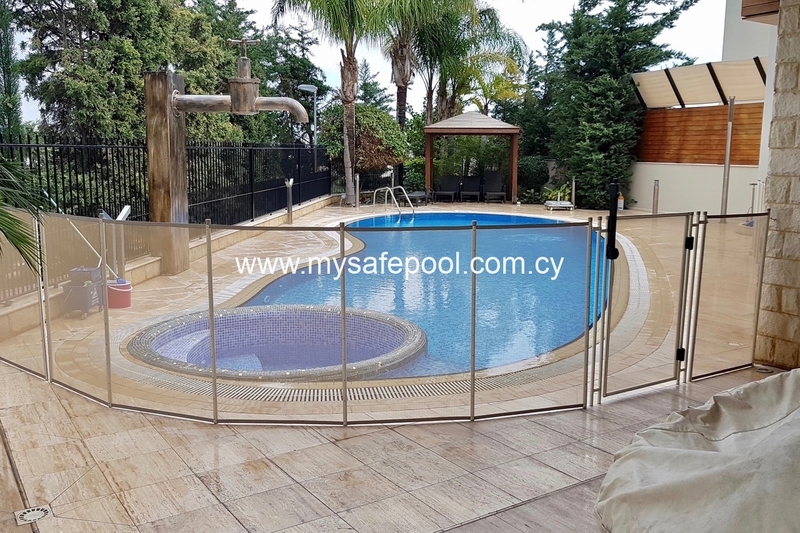 Appearance matters: customers tell us that they love the appearance of our ‘Elite’ pool safety fence – particularly the beige colour which blends so perfectly with the Cyprus landscape. The fence comes in two other colours: black and dark green; these colours are notably more transparent than beige (see photos alongside). 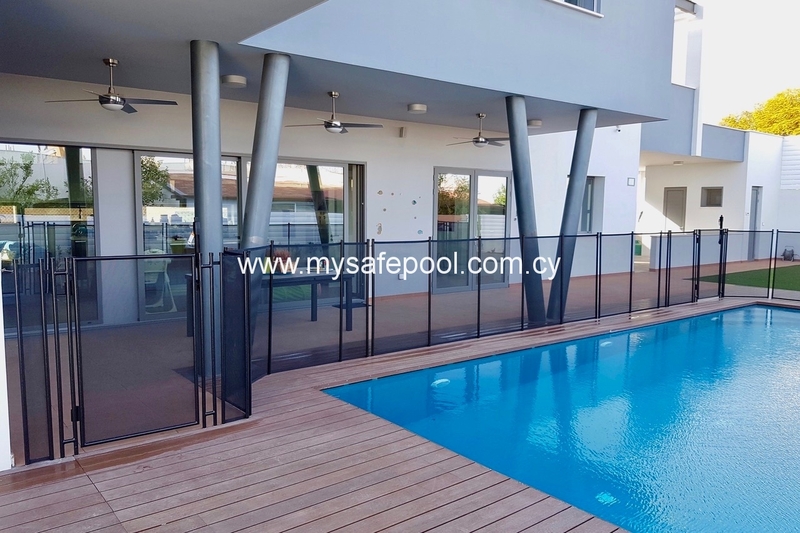 The fenceposts are made of aluminium alloy and feature a powder-coated finish to inhibit corrosion and maintain the nice appearance of the fence over many years. We use high grade stainless steel for the pin at the bottom of each fencepost and for the screws. 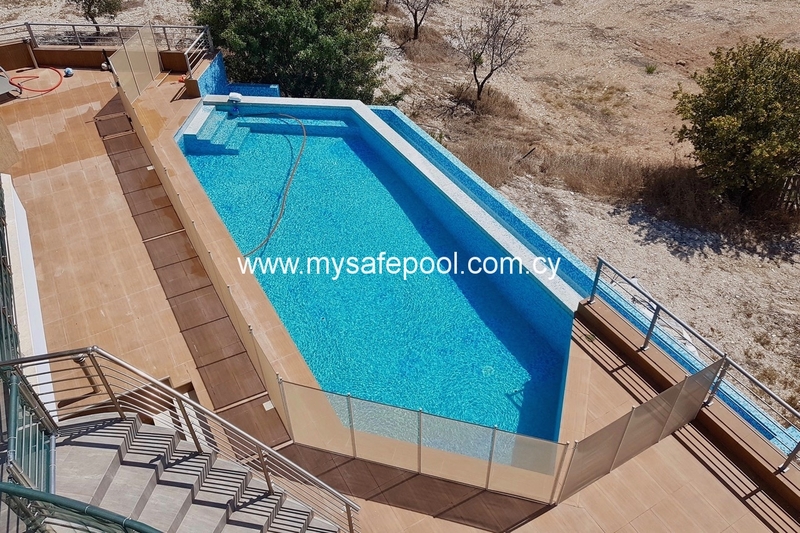 All materials are mildew and UV-resistant. 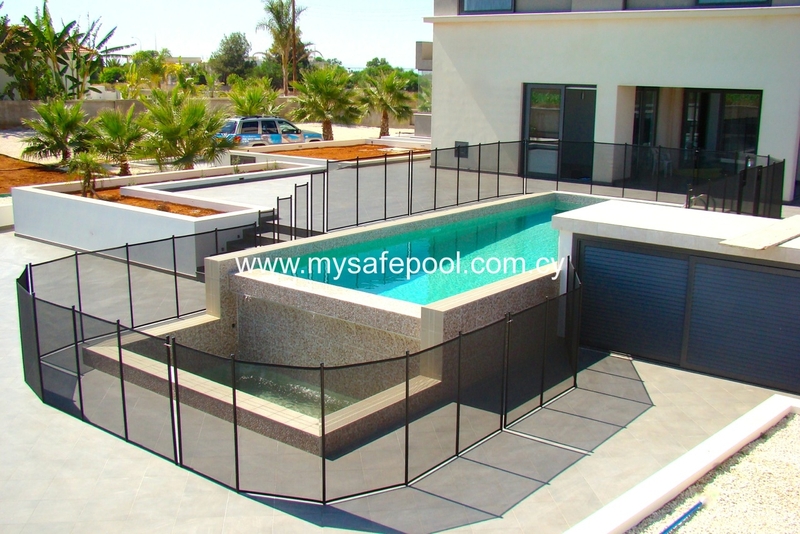 Our ‘Elite’ pool safety fence is 1.2m high – universally considered to be the minimum height for a pool safety fence. 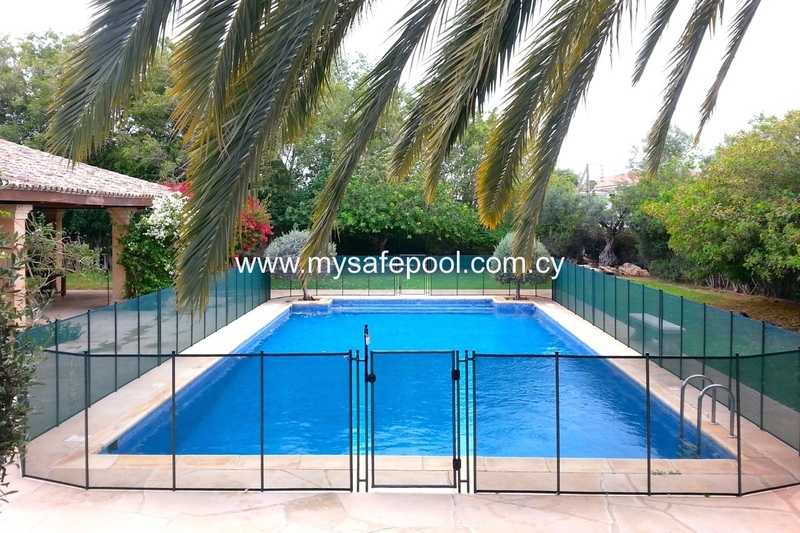 Most pool safety fence manufacturers space their fenceposts 100cms apart. Ours are just 80cms from one fencepost to the next; this makes for a stronger and much safer fence. Each 4m section of fence is joined to the next with a child-proof safety connector. 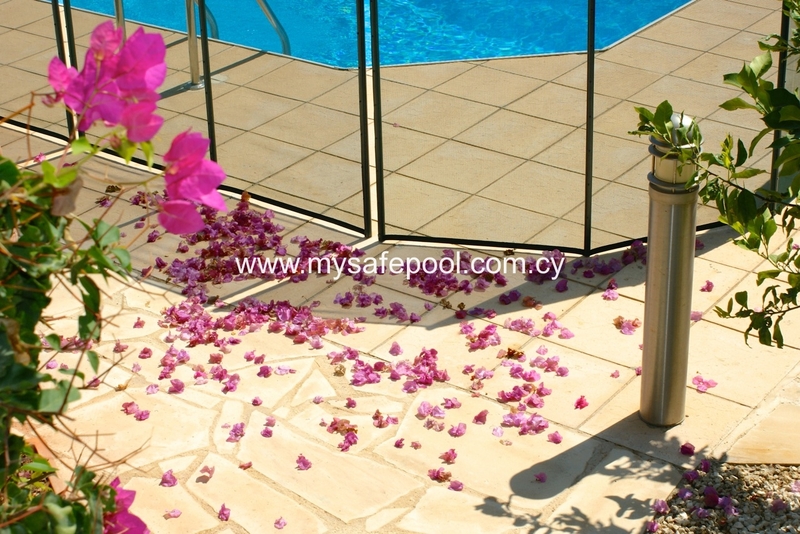 Our ‘Elite’ pool safety gate utilises spring-loaded hinges, which make the gate self-closing. You can never accidentally leave the gate open. The gate is self-locking and locks automatically each time you pass through. You can never accidentally leave the gate unlocked. 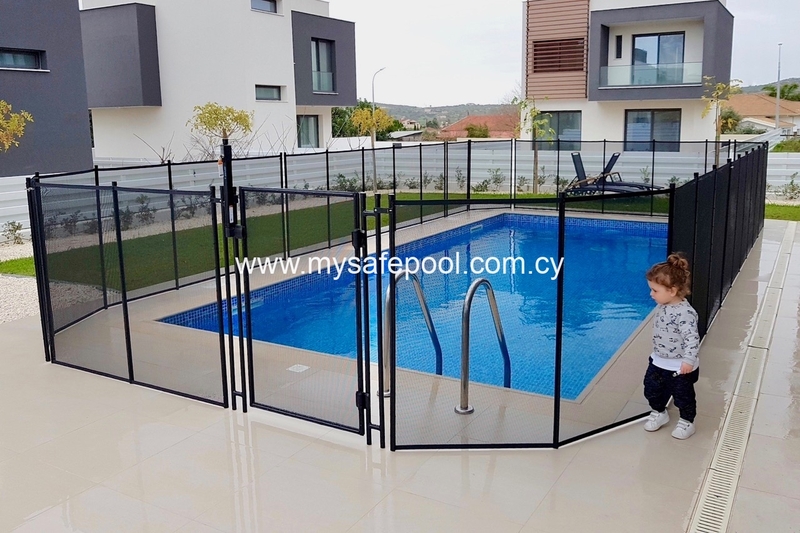 The release latch on the safety gate is 1.5m (4’11”) high and requires two hands to open the gate, making it almost impossible for children in the high-risk age group to accomplish this task. 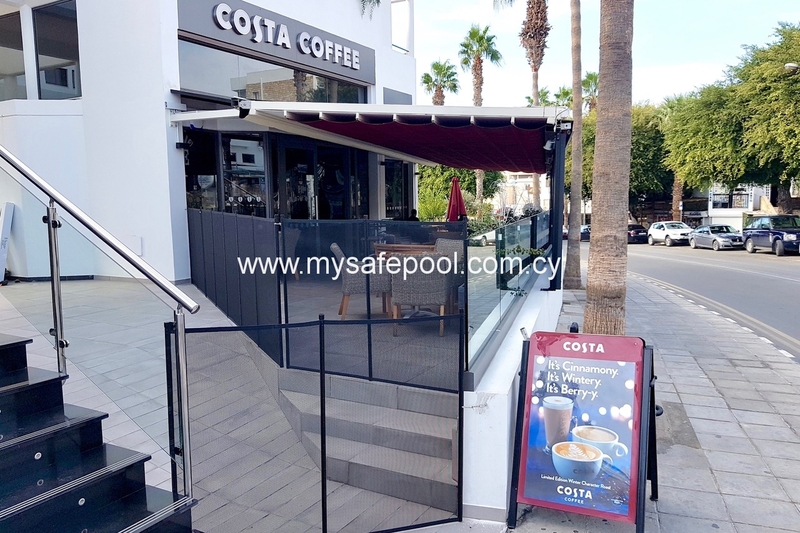 The gate is also key-lockable, allowing you to deny access to older children or unauthorised persons. 5. Keeps kids safe at Birthday Parties. This video illustrates how. 6. Warranty. 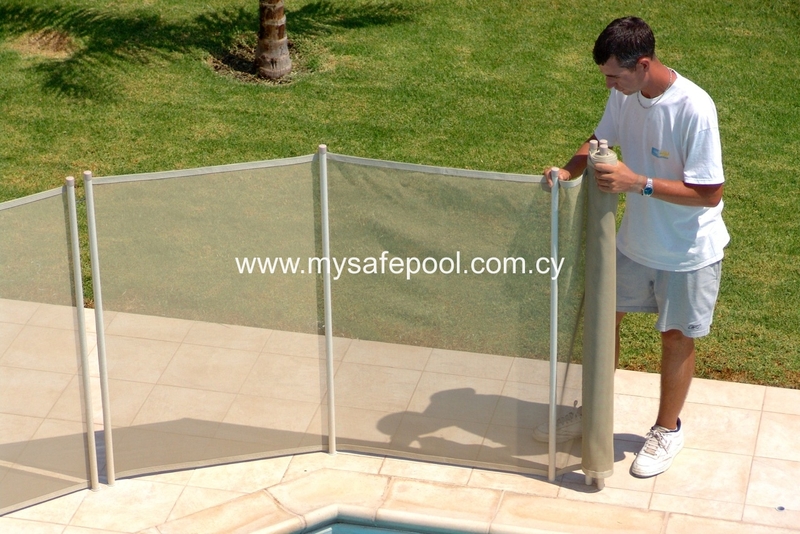 Our Elite pool safety fence comes with a conditional 5 year warranty. If you have any questions, or would like a quote, please ask. 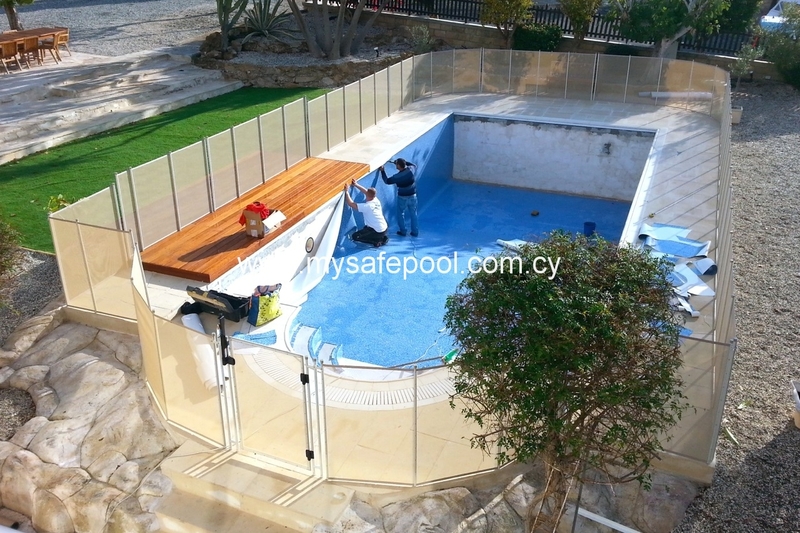 INTERNATIONAL ORDERS: We’re happy tο deliver our pool safety fence worldwide. Please ask for a quotation. 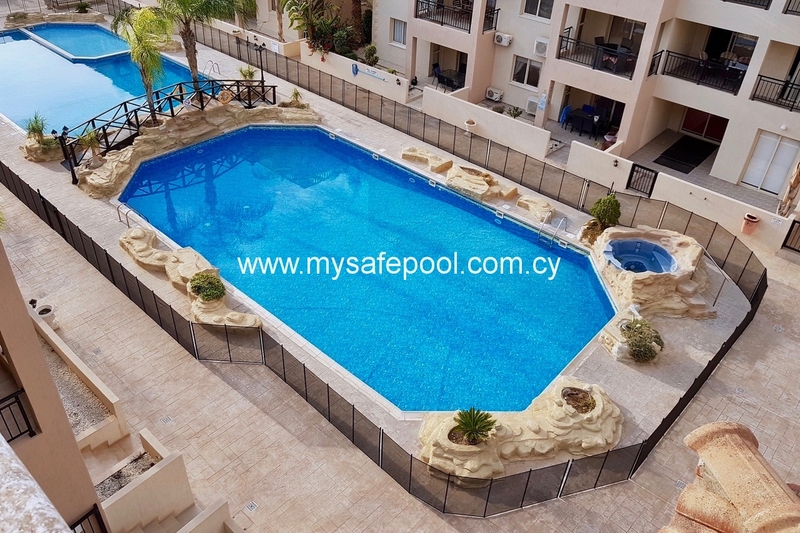 of digital image files, or the alteration or manipulation of said image files, is authorized unless accompanied by a written agreement issued by Safe.T.First Pool Safety Ltd.